"GO TRI Events are a real mix of disciplines so there is something for everyone including events which include the cycling discipline"
I’ve always been relatively fit and enjoyed exercising. After I had 2 major operations for Crohn’s Disease, I ended up with needing a stoma bag, I started to gain weight from the medication I was taking and became determined to lose the weight. I had to adapt how I stayed fit as I was recovering from major surgery and in a longer term as I had developed a hernia during the first operation which meant that I had to be careful with some abdominal exercises and weights to prevent another one forming. During my post-operative recovery, I started jogging. This lead to me doing 5k every morning. I also started to swim more than I had before, and I started to attend aqua each week to help with my recovery. Jogging and swimming are considered low resistance forms of exercise which is perfect for someone who is recovering from surgery. I wanted to sign up for an event which would provide me with motivation. This is when I discovered GO TRI. I found a local event near me and I quickly registered to enter. The event I took part in was an Aquathlon which involves swimming and running. The two disciplines which I had been doing during my recovery. The fact that there was no cycling discipline was perfect due to the nature of my most recent surgery. I hadn’t found anything else that just focused on swimming and running so I was thrilled. My biggest achievement from participating in GO TRI events is that I made the transition to run poolside without having to go to the changing rooms. I also wore a Colostomy UK t-shirt to raise awareness of people having stomas. GO TRI Events are a real mix of disciplines so there is something for everyone including events which include the cycling discipline. 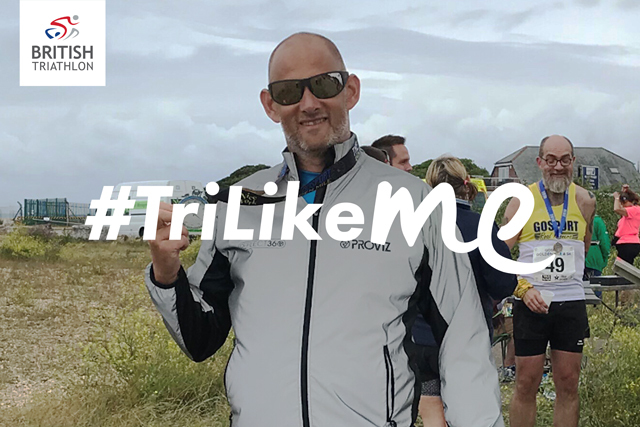 I’m looking forward to taking on more GO TRI challenges that are of a greater distance than the initial introduction into these events and to improve on my time as well as showing that people with stoma bags can lead an active life. Inspired by Rachel’s story? Visit gotri.org to find a local GO TRI event or activity near you. Visit Crohn’s and Colitis UK to find out more about the disease, symptoms and treatments. 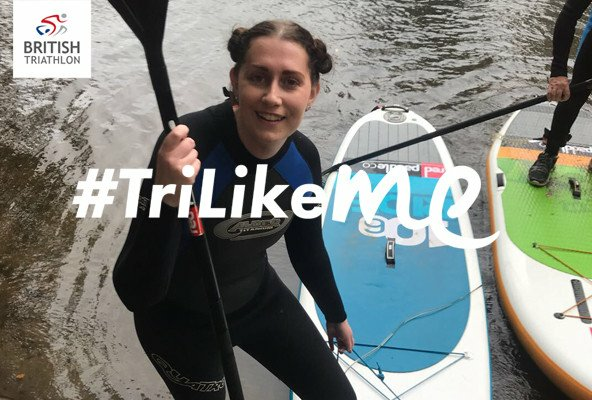 Visit the #TriLikeMe section on the British Triathlon website to share your triathlon journey.